Rifle cases or firearms cases can be expensive in general, and there’s absolutely no need to splurge ridiculous amounts of money on them. Rifle case DIYs (Do it yourself) will not just help you save money but also test your creativity. They’re also super fun to make. This DIY is not just easy and simple but also very practical as one can use these cases to store their rifles and forearms or just to take their rifles with them while traveling. Besides, you can easily customize this cases to accommodate your hunting accessories including: tactical bipods, spotting scopes, night vision monocular, tactical wear, and much more. Exposure to dust, dirt and other elements can mess up with your rifle's working order, so it's essential to protect them from all such things if you want it to perform well even after a long time. This method or DIY is only going to take you about a few hours to complete it, so it’s not very time-consuming. Take the paper and mark a vertical line on it. The line has to be 12 inches longer than the size of your rifle, and it has to be marked down towards the center of the paper using a yardstick and a pencil. Next, place your rifle along the left side of the line on the paper in such a way that the grip faces the left while the barrel/slide faces the right and is parallel to the line marked on the paper. Next, sketch an outline of the gun and make sure to cover its right, left, bottom and top side. Also, make sure to leave a 6-inch margin. If you plan to make a case for a handgun, then leave a 4-inch margin. Now, trim the outline that you just drew and place it on the canvas. 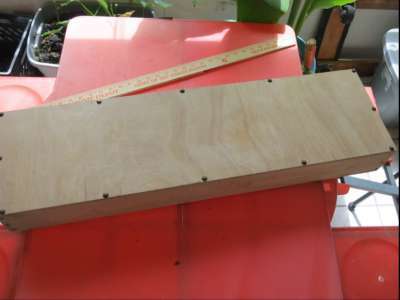 This canvas will become the inside of the gun case so make sure to trim the sketch carefully. The inside has been prepared, but next, we need to focus on the left and the right side of the case. For that, you'll have to draw on the canvas to design the right and left the side of the case. First, start with the left side and after completing that, turn it over and draw the same for the right side. Make sure both the sides match up. Then, trim the canvas. Lay down the canvas flat on your desk, table or wherever you are working. Place it on the outside down. Place your rifle on the material just the way you placed it on the paper in the first step. Next, fold over the right sure. Check if all the borders match up because if they don't the case won't fit the rifle and it would be of no use. If all the borders and edges don't fit the rifle, then try to adjust it till the match perfectly. Now that they match up fold its edges towards the inside and try to make a double rounded edge all around the case. Leave a margin of an inch or two around the edges. Press the canvas to create a secure fit around your rifle. Of course, you don’t want a loose-fit case for your rifle so press the canvas hard till you feel like a snug fit is being created for your rifle. Draw a line (lightly without any force) around your rifle to outline it. Take off the gun and stitch a tight seam around the double edge outline that you just faintly drew with your pencil. Measure a quarter inch from the outside of your rifle case and stitch another tight seam right there towards the inside. After that, cut off any excess material left on the inside of the case. Next, put your rifle back into the template and fold the canvas and see if the all the edges fit well around the corners of your rifle. Also, ensure the overall fit of the case. Keep your snaps ready, and we’ll need them now. We need to mark the place where the snaps will go on the canvas, so it’s best to start from the top of the canvas. It’s suggested to keep about 2 to 3 inches between the inner and outer seams, but sometimes it can vary. Read the tool instructions for the snaps and then set the snaps. Also, make sure to unload your rifle before you start the procedure to make the rifle case. And if desired, you can sew canvas straps onto your rifle case. 1. Reduce the humidity: Store your rifle in such a place where there is little to no humidity as even a little amount of water is enough to start the rusting process on your rifle and this includes water vapors as well. You can also use a dehumidifier for the place where you’ll be storing your rifle at. 2. Keep it out of bad weather: It’s best to avoid exposing your rifle to snow, rain or any other moisture outdoors as it can also make it rust and tarnish quickly. If you’re outdoors, it’s best to carry your rifle in a case and protect it from rain and other moisture sources. 3. Clean your rifle regularly: Make sure to clean your rifle regularly, especially after you’ve used it, make sure to remove any gunpowder or debris as it can trap moisture which in turn result in rusting of your rifle. 4. Use a good anti-rust spray: While cleaning your rifle, you can also make use of a good anti-rust spray as it will make everything easier for you. Avoid products with high VOCs though. So, this is it. It's straightforward and simple to make a case for your rifle, and we hope your case turns out well after following this article.